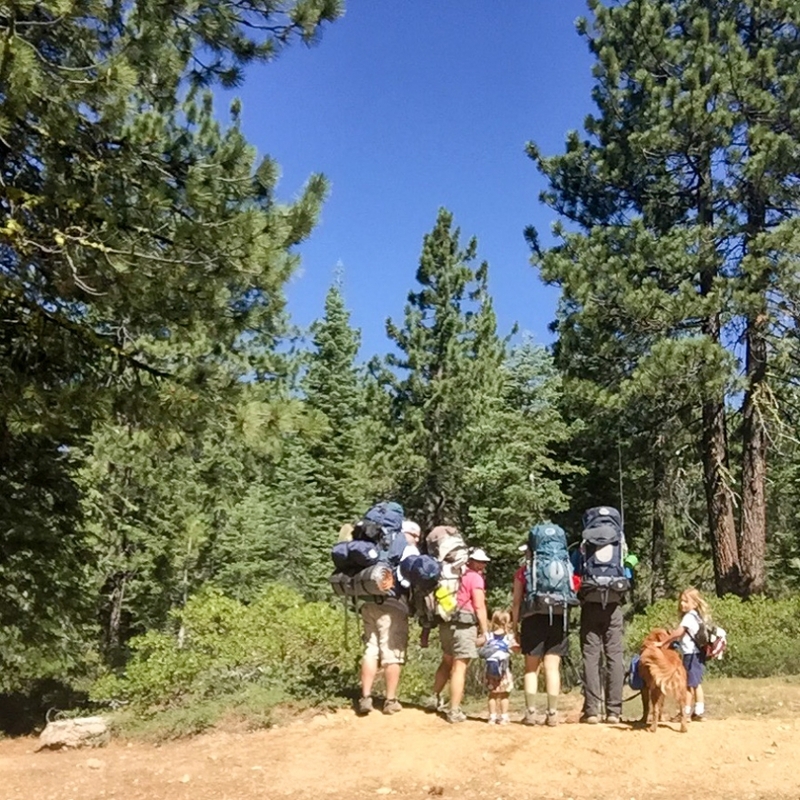 This backpacking trip is an absolutely fabulous one for little hikers! Some of the most beautiful scenery on the Pacific Crest Trail with incredible views of Mount Shasta. We met up with some good friends and had quite a big bunch, including a lot of kids which is always nice to have to entertain your own! The route itself is only a little over 6 miles round trip but it has excellent day hike and mountain scramble opportunities which put us at close to 10 miles. Pristine lakes, no other people, and the kind of serenity you dream of when packed into a crowded local campsite. We did have a surprise storm blow through which took all of us by surprise since the forecast and the sky were clear up until a few minutes before the world turned sinister and enormous hail pelted the tent. Adventure my friends…adventure! 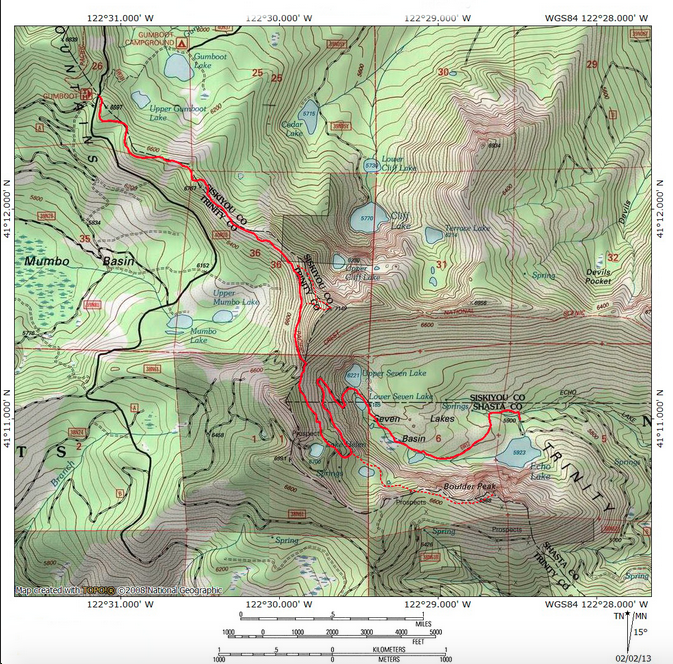 A few links to the trail: PCT to Seven Lakes Basin and another one. Crappiest, blurriest photo ever but at least we are all in it. My self timer can’t focus. Where the hike begins across the street from the parking lot. Breaker breaker! Ne er underestimate the power of fun possible between your kids with walkie talkies. Our first stop for the night…Upper Seven Lake. I mean come on…where else can you get this view and escape from society? Breakfast lakeside in the early morning light. The second part of the journey…an overnight at Helen Lake. I am obsessed with reading soul searching novels while in the middle of the forest. 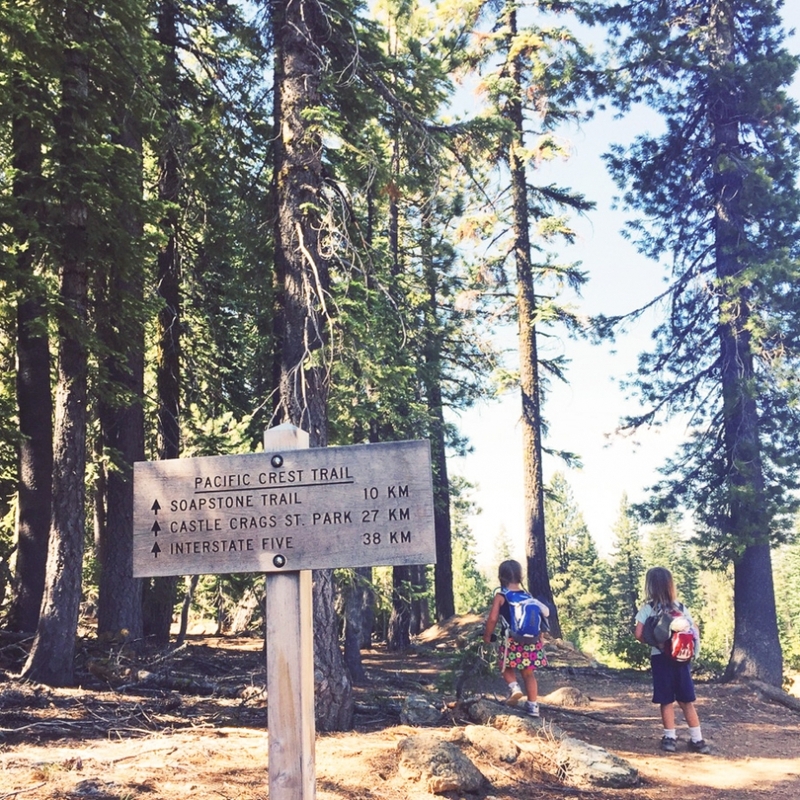 Due to the month we hiked this trail in, we saw a lot of thru hikers on the PCT. Gotta leave them some love.